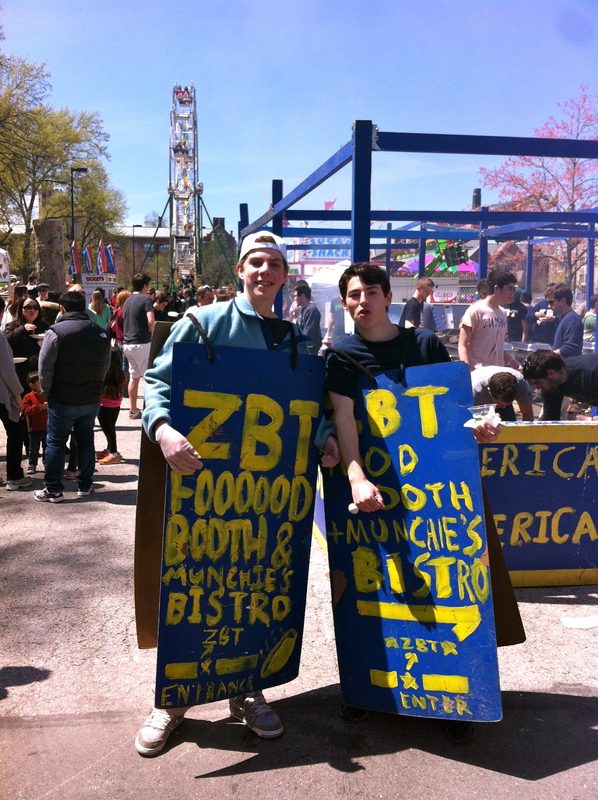 The ThurtenE Carnival takes place every April on the campus of Washington University in St. Louis. 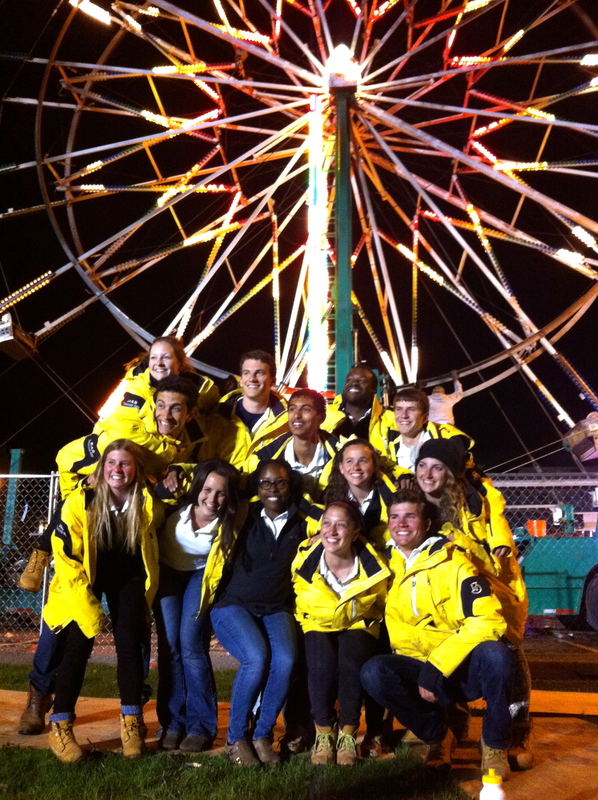 The carnival has been in existence since 1907, making it the oldest (and largest) student run carnival in the world. While the first carnival had an attendance of 400, the carnival now draws crowds of 60,000 in good weather. The carnival is run by the ThurtenE Junior Honorary, of which I was a part of in 2013. While the preparation for the carnival begins months in advance, the actual construction of the carnival site takes a mere 7 days and the carnival itself lasts just 3 days. 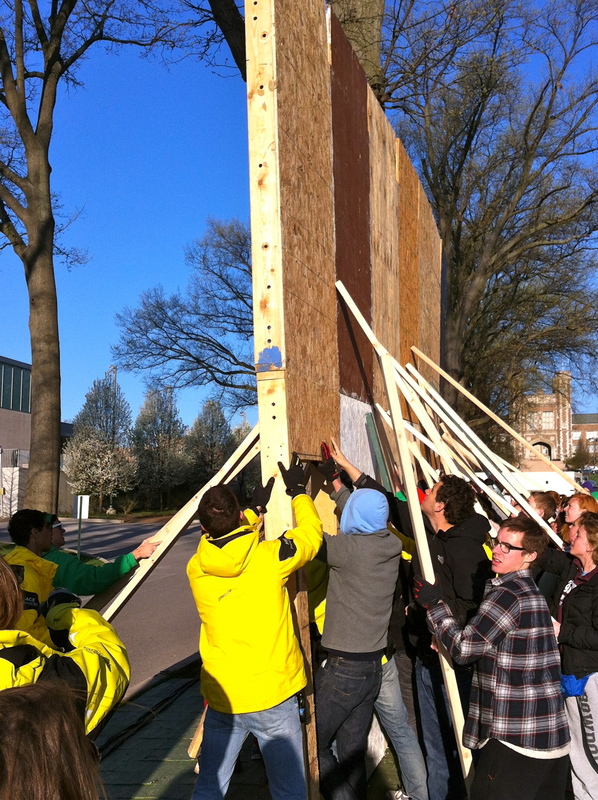 In terms of student involvement, the largest and most intricate part of the ThurtenE Carnival is the facades, which are wooden buildings that house student productions. 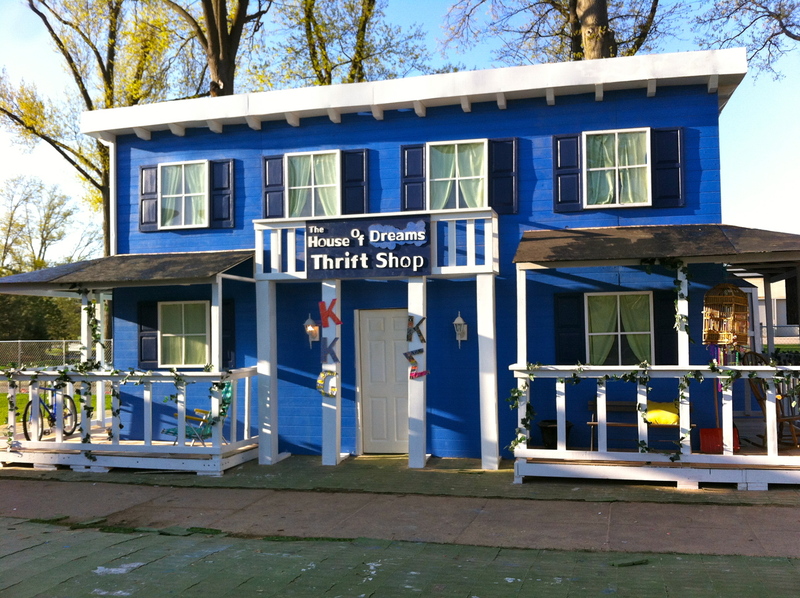 The facades are built by fraternity/sorority pairs and are completely redesigned with a new theme every year. Raising the walls for a facade in the style of an Amish barn raising. The completed facade- this one is supposed to be a thrift shop in a house. The purpose of the Carnival is to bring together the Washington University community as well as the St. Louis community. This is the only event at Wash U that brings the whole campus together and for many St. Louis residents this is the only time they have ever set foot on the Washington University campus. While I am biased, I believe that the ThurtenE Carnival certainly deserves to be on the STL bucket list because of the incredible history of the carnival, its unique setting, and the incredible student architecture.